Dink Smallwood is my RPG from back in the day. Now also for mobile devices. I’ve been working on Dink HD to greatly improve it for a new release, you can help test it here! It’s been open sourced (on the RTsoft subversion server) as well so feel free to contribute patches. The plan is to release it free on all platforms soon as I can, until then, it won’t run on iOS 11. 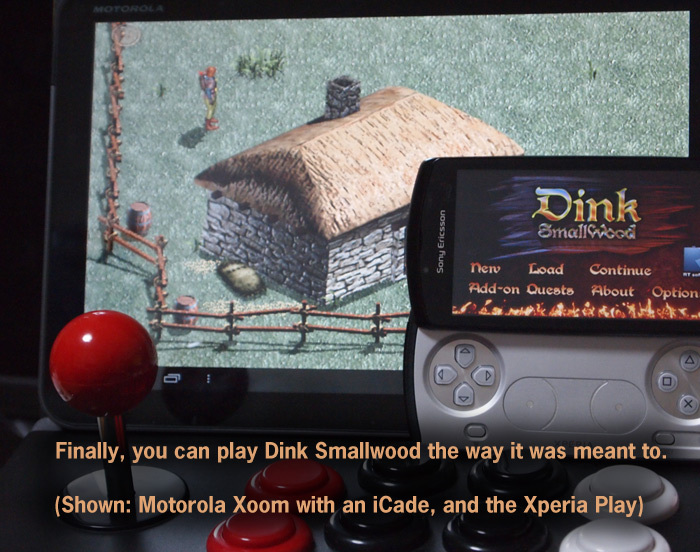 Also a new interview about the making of Dink is here. Talks about its low sales and making games as an indie in general. This entry was posted in Development/RTsoft, Dink Smallwood on September 21, 2017 by Seth. No midi playback. The fake SDL audio wrapper can’t handle it I guess although I didn’t really even try. Anyone know a easy way to play Midi via emscripten? All the CD audio does play though. While save/load quicksave/quickload all work perfectly, nothing is actually saved if you close your browser window. It’s possible but requires some async save/loading I didn’t feel like dealing with right now. But this means don’t really play the game, you’ll lose everything! It’s an early step, but it’s very possible to setup some kind of system where you could click on any of the 300+ dmods on Dink Network and have them be (near) instantly playable right there in your browser. 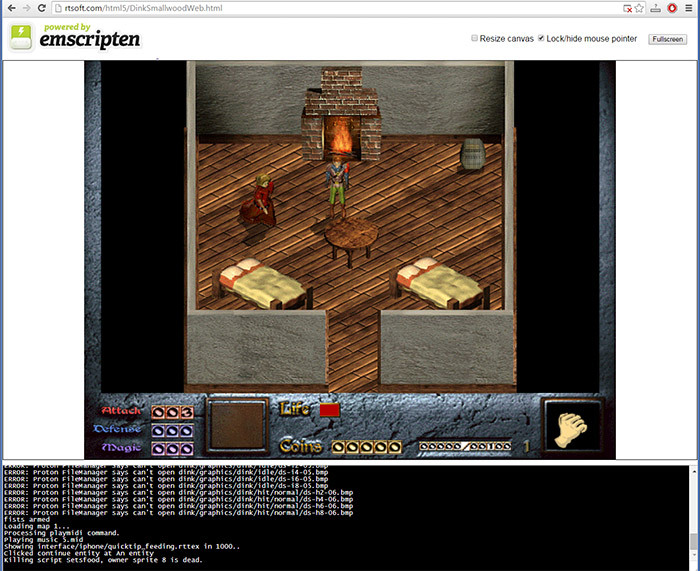 Here’s another old game of mine exported to html5 with emscripten, Dungeon Scroll. This entry was posted in Development/RTsoft, Dink Smallwood on September 19, 2015 by Seth. Nicely put-together interview I did with Arkadiusz “Dark Archon” Kaminski about Dink Smallwood and its development. One thing bugs me though, Dink HD is playing but it has some kind of video bug where the screen transitions don’t work… doh! It’s not supposed to do that. This entry was posted in Classic Gaming, Development/RTsoft, Dink Smallwood on November 20, 2011 by Seth.